A lower cost alternative to the Squale, the Visitor is Bolle's standard visitor spec and at only 39g it is the lightest also. 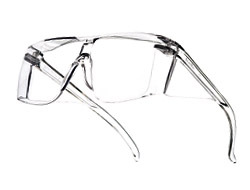 It complies with all the necessary standards and includes both upper and side protection. 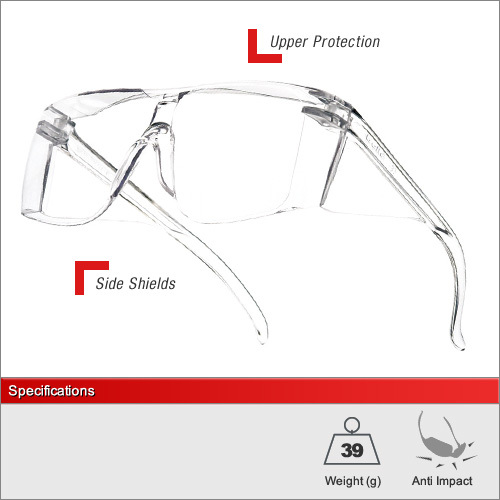 For a full explaination of European standards in safety eyewear including how to interpret the frame and lens markings then please see our dedicated Standards Advice Section. We have 1 lenses avalable in this frame. The clear lens for 100% optical quality 1 performance and clarity. For a full explanation of the different lens types and their ideal usage please see our dedicated Lens Advice Section.